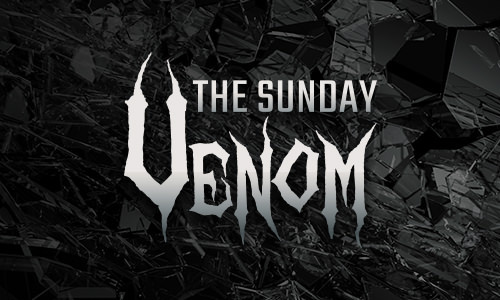 Our high stakes $1,000,000 GTD tourney has been renamed from Million Dollar Encore to The Sunday Venom! And it’s now running every Sunday at 1pm ET. See how to get your $2,650 seat for a fraction of the cost on the promo page here. Good luck to everyone who is going for the sattys! Last edited by PokerBricxjo; 11-05-2018, 05:55 PM. Hi, sorry for the late reply. I have sent the feedback to the Tournaments Department so they can take it in consideration for the future. Let me know if you have any other question or concern and I will happily assist you! How would close to $200k change you? Find out in The Sunday Venom. With around 400 players and $1,000,000 guaranteed, your shot is very, very real. Check out the schedule at americascardroom.eu. Hi, The Venom will be back soon, stay tuned so you don's miss any upcoming detail about this big event! Last edited by ACR Mod; 12-14-2018, 05:31 PM. Hey a couple of things. Specifically with Sunday feature MTT's and the like. So I'm posting here. I noticed the Venom has a 6 hr. late reg and only lasted 7 hrs. To me that is a gigantic red flag. No way in hell am I running into a $2600 buy-in that allows for rebuys up to an hour before the tourney ends. You guys have to know this. I've mentioned in the past about how many players you will never hear from because you do not offer anything to attract them. I know some will argue with me about it. I think the +100k overlay should speak for it's self. Offer some various stake low-mid-high deepstack with 90 min registration at 1/2 of what you normally would use as a guaranteed prize and see what happens in a month. They will become the most popular you have. Along the same line. What about an early bird MTT? 30 min late reg and you get blinded off if your late. (like brick and mortar) Any late reg over 60 minutes takes away from the effort of a skilled player being interrupted by those looking to buy in 3-4 times and jam until they double up. While we are at it. MTT entries and players registered are 2 different things unless it's a MTT on WPN. If one person buys-in (or freerolls) 6 times that does NOT mean there are six players. It means you have a degen buying in at the end of late reg 6 times. let 15 people do that and you are increasing the MTT size by 90 thinning out the pay structure. That bleeding takes away from the FT bottom half considerably. Ironically, most of the time the late reg have no interest in playing a MTT to the end as it is. So why cater to a group of party crashers? I know all of this sounds a bit salty for the holiday season but honestly I think you would rather I give it to you straight. I'll save my rant for 1R-1Add and freezouts for another time. This was more to do with a 6 hr late reg in a tourney that only last 7 hrs. has anyone here made it through all of the satties? Make your poker buddy even more proud! Check out our official Social Media Channels and give him an incredible SURPRISE.